I loath these small sap-sucking insects. 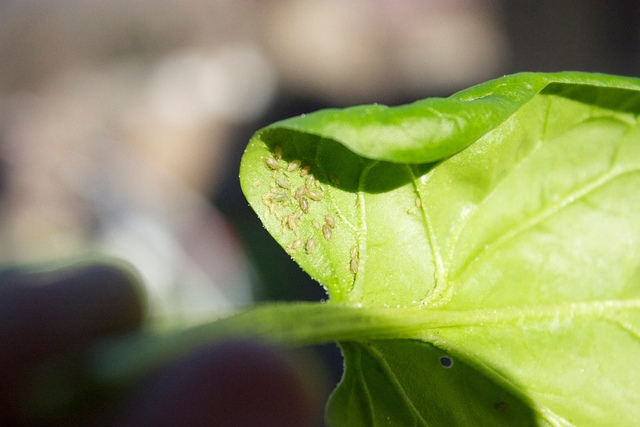 Aphids are among the most destructive pests a gardener can face. They do have a fair amount of natural enemies which include but not limited to predatory ladybugs, hoverfly larvae, parasitic wasps, crab spiders, lacewings. Many aphid species are monphagous, they feed only on one type of plant. Aphids feed on the sap from the plant, creating a lack of vigor in the plant, and aphid saliva is toxic to plants. The damage from these pests can show in a variety of ways. Decreased growth rates, mottled leaves, yellowing, stunted growth etc. Aphids reproduce like no one’s business. Female aphids can reproduce without mating, giving birth continuously to live nymphs. Nymphs mature in 1 to 2 weeks and start producing offspring themselves. When days become shorter in the fall, both males and females are born. They mate, and then females lay eggs on stems. The eggs overwinter and hatch the following spring. In very mild climates and in greenhouses, aphids may reproduce year-round. Keep your plants as healthy as possible, and spray dormant oil to control overwintering eggs on fruit trees. Spray aphids with insecticidal soap, summer oil (on tolerant plants), and homemade garlic sprays. Introduce natural predators such as lady beetles and aphis lions feed on aphids but may not always provide adequate control.